ALL THAT'S MISSING IS YOU! 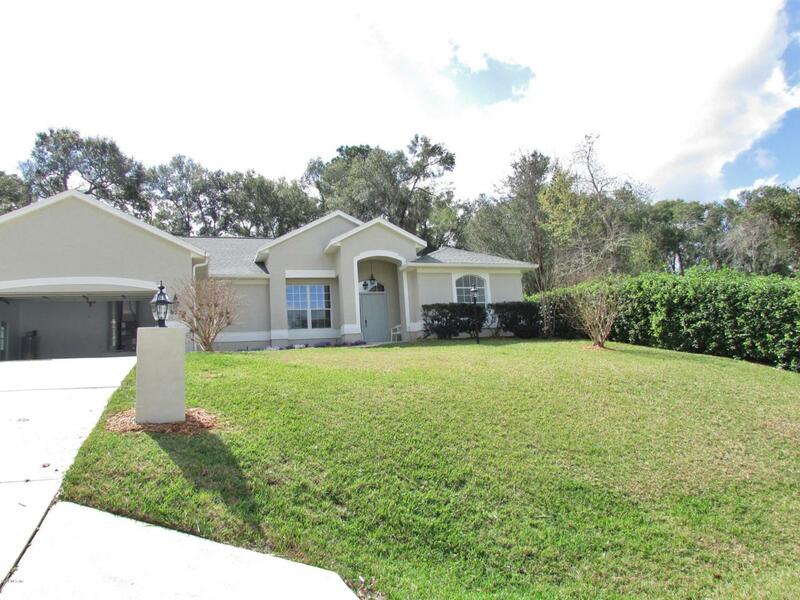 Completely Refreshed 3/2/2 Home In Rainbow Springs Fairway Estates! New Roof 12/18, New A/C 1/19, New Hot Water Heater 1/19, Freshly Painted Inside & Out 1/19, New Luxury Vinyl Flooring, And Brand New Stainless Steel Appliances!!! WOW!! Formal Dining Room, Formal Living Room, Open Culinary Delight Kitchen W/ Pantry & Utility Room, Family & Friends Gathering Room. Lovely Master Suite Opens to the Lanai and Showcases 2 Walk-In Closets, En Suite Soaking Tub, Walk-In Shower and Two Vanities! Comfortable Guest Quarters with Full Bath, Expansive Screen Lanai. A Wine Cellar Built In to the Garage!! Everything Has Been Done For You~ JUST MOVE IN! All this PLUS Private Access to the Rainbow River Via the Resident's Park & Pavilion And A NEW COMMUNITY CENTER! Listing provided courtesy of Dale L Ravens of Rainbow Springs Realty Group, Inc.